The White Stripes have always teetered on the brink of novelty  and it's astonishing that so few people seem to have noticed. The goofy matching outfits, the winkingly self-conscious aural primitivism and the inane we're-siblings dodge are pure shtick, but much of the rock press continues to act as if they're exceptions to the band's music, not emblems of it. Nevertheless, the Stripes' sixth album works best when it dares to be daffy. Although Jack White's one-man-Zep routine still generates energy on the title tune and elsewhere, he seems more engaged on numbers that consist of something other than familiar power chords and Meg White's all-I-really-need-is-a-ride-cymbal drumming. The mariachi mayhem on the cheeky "Conquest," the bagpipe-fueled stomp of "St. Andrew (This Battle Is In The Air)," and "Rag and Bone," which equates record-making with flea-marketing, may be messier than those tracks on which Jack casts himself as a trad-music archivist  but they're also lower in joy-squelching pretentiousness. 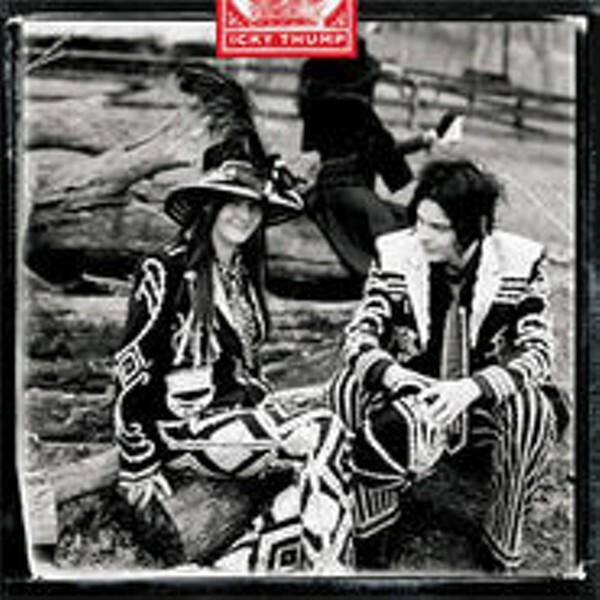 Much of Icky Thump is a joke. Thank goodness.